Is the daily grind getting into you? Are you too stressed to get anything done outside work or school? You may take some lessons from Dr. Jonas Salk, a world-renowned 1950s biologist. Dr. Salk moved his research work on polio to a 13the century monastery in Italy from his grim basement laboratory in Pittsburgh. He was convinced that the contemplative ambiance in the monastery was instrumental to his successful research work. Look around you. How does your condo design make you feel? 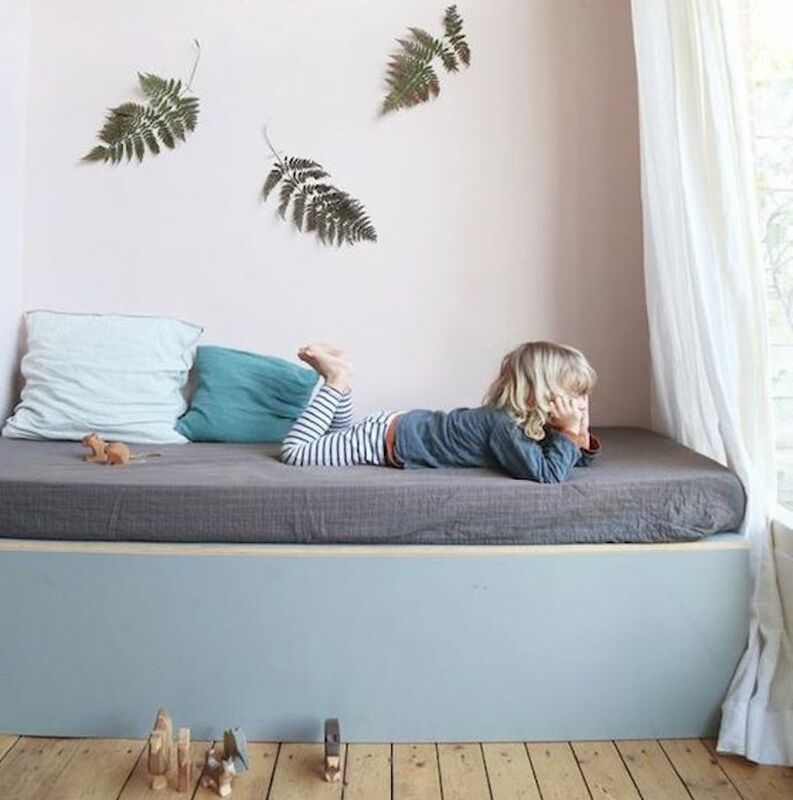 Does your wall color stir calming feelings? Do your furniture inspire you to create something new every day? Is condo living a little bit better with the overall ambiance of your home? Pantone, the world leader on color and color systems, announced two colors of the year for 2016: the Rose Quartz and the blue Serenity. The selections were a “unilateral approach to color [that coincides] with societal movements toward gender equality and fluidity,” the company said in a statement. Consider these hues in designing your condo. The Rose Quartz exudes gentleness, compassion and persuasiveness while Serenity brings a feeling of respite, calm and weightlessness. How do you incorporate Pantone’s 2016 colors of the year into your condo? 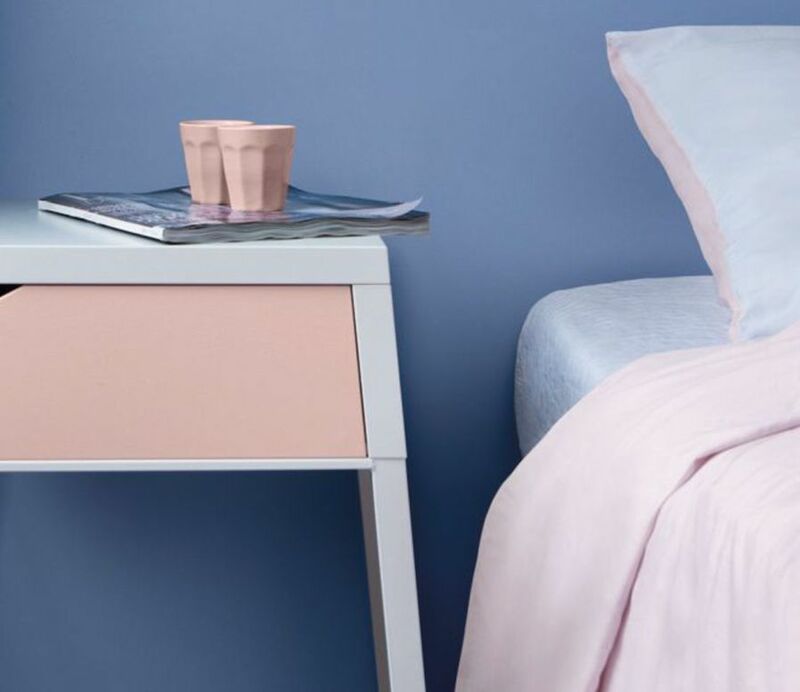 Here are 10 ingenious ways to help you bring the soothing effects of Rose Quartz and Serenity into your home. Feel free to inject your own ideas, after all, this is your abode you’ll be working on. Wake up under blue skies every morning. Paint your bedroom ceiling with soothing blue and accentuate it with artistic mirrors mounted on your wall. You may also combine Rose Quartz and Serenity to mimic the color of the sky at dusk on a clear day. What a perfect ombré effect! If you want to keep your ceiling and wall colors as they are, you may use curtains to create a feeling of tranquility in your bedroom. Chiffon drapes in shades of rose and blue will do the trick! Share similar budget-friendly design ideas with your peers at DMCI Community. The gender fluidity vibe of Rose Quartz and Serenity allows great flexibility in incorporating them into interior design for condos. Design your children’s nest with whatever theme reflects their personalities (e.g. Marvel superheroes, Disney princesses or Kung Fu Panda) then add subtle items in Rose Quartz and Serenity. 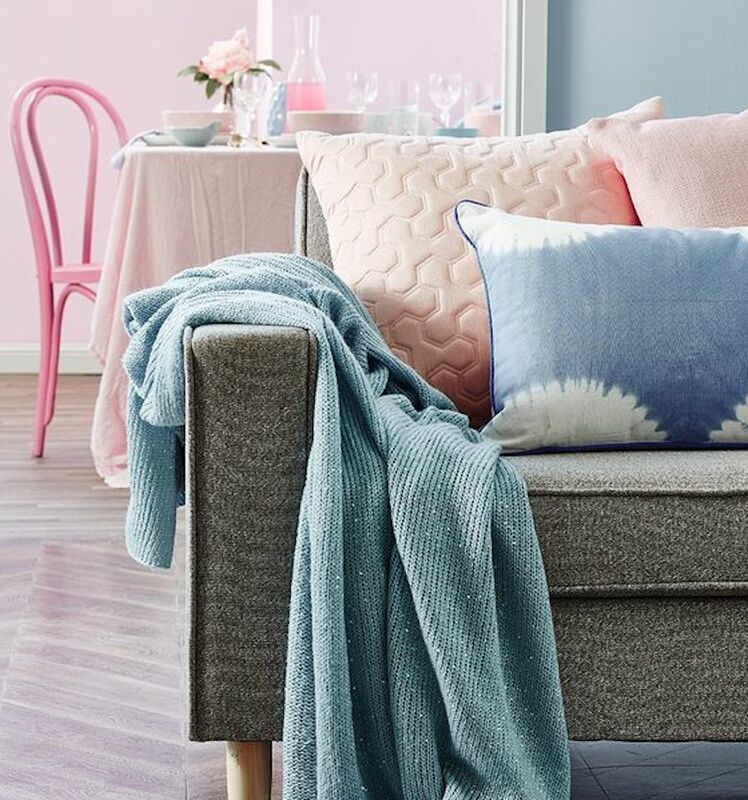 You may get chairs, pillows or bed sheets with stripes of the Pantone 2016 colors. The bathroom is perfect for soft pinks and soothing blues. 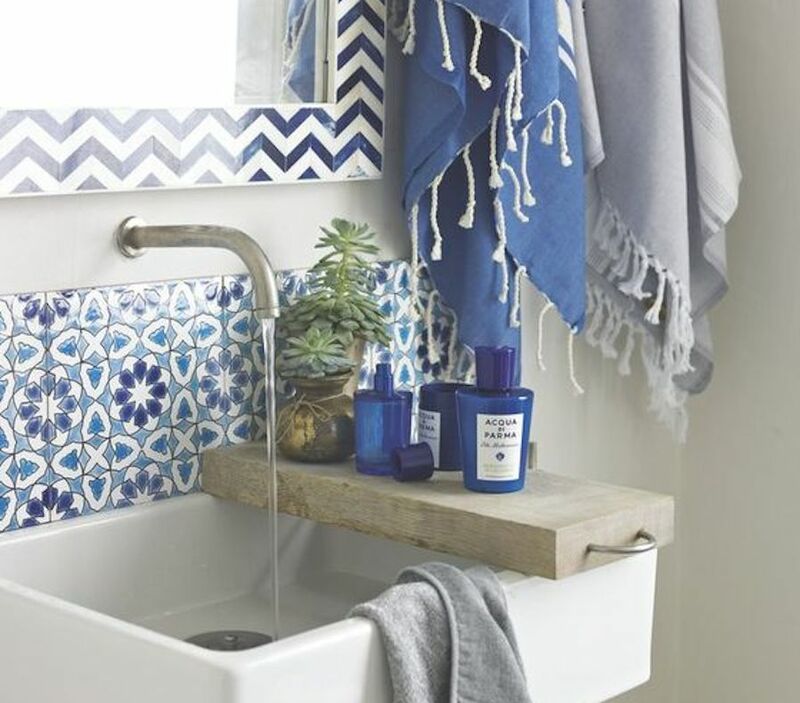 You don’t necessarily need to change your tiles (but no one is stopping you if you insist!). Start with the window curtains, the shower curtains and the towels. You may also artfully mount wall decors in complementary opal blue or peach echo to complete the picture of tranquility. DMCI Homes can be your reprieve from the toxicity of city living. This resort-style community allows you to unload your stress and embrace the goodness of urban living. Bring that calmness inside your living room by integrating Rose Quartz and Serenity into your condo living room design ideas. This year’s Pantone colors suit various interior design themes including minimalism, shabby chic, and traditional French. Arrange rose-colored throw pillows on your minimalist cream sofa. Splash shades of orchid haze and lilac gray on your grandmother’s dresser to complement your Rose Quartz curtains. Bring mid-century Scandinavian vibe into a modern Philippine metropolis. Use wooden flooring in all rooms except for the bathroom. Your walls may be white, cool grey or blue Serenity, or a combination of all. As an authentic Scandinavian design is livable, get functional furniture for your living room including tables and cabinets with clean lines. Shabby chic it your way! Either you have the poshness or you don’t. The shabby chic interior design is one of the hottest today. It’s characterized by the simplicity, coziness and the natural feel of French country. Pantone’s colors of the year are prominent hues of the shabby chic. Go over your old stuff, raid your grandmother’s basement or visit the neighborhood antique shop and get old furniture you can refurbish and restyle. Splash a bit of pastel paint on an old panelled door or old dressers. Remember: you’re not limited to a couple of shades. You can mix and match rose and blue with other colors. 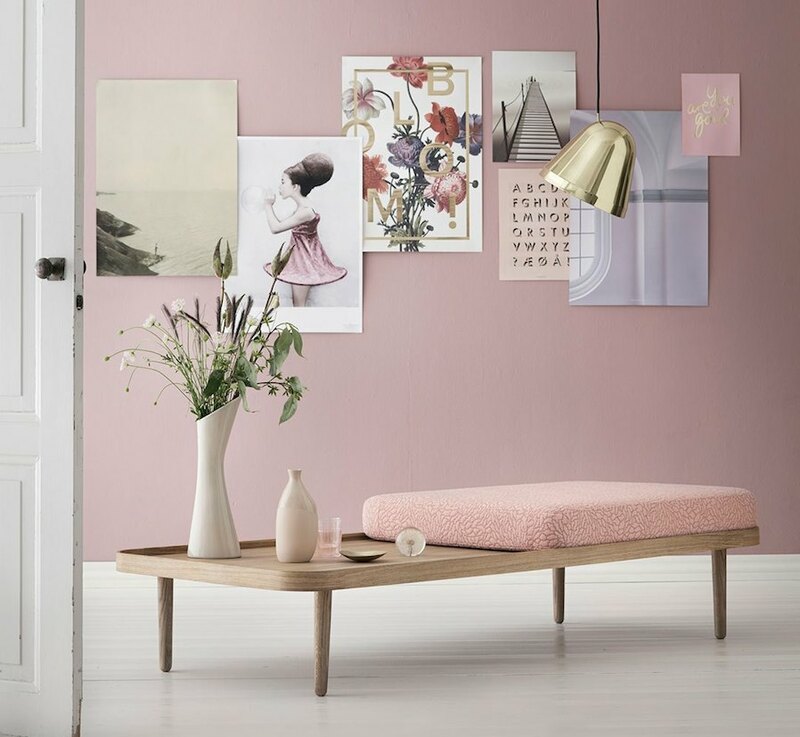 For your Rose Quartz living room, add opal blue, opal gray, orchid haze and lilac gray into your interior design theme. 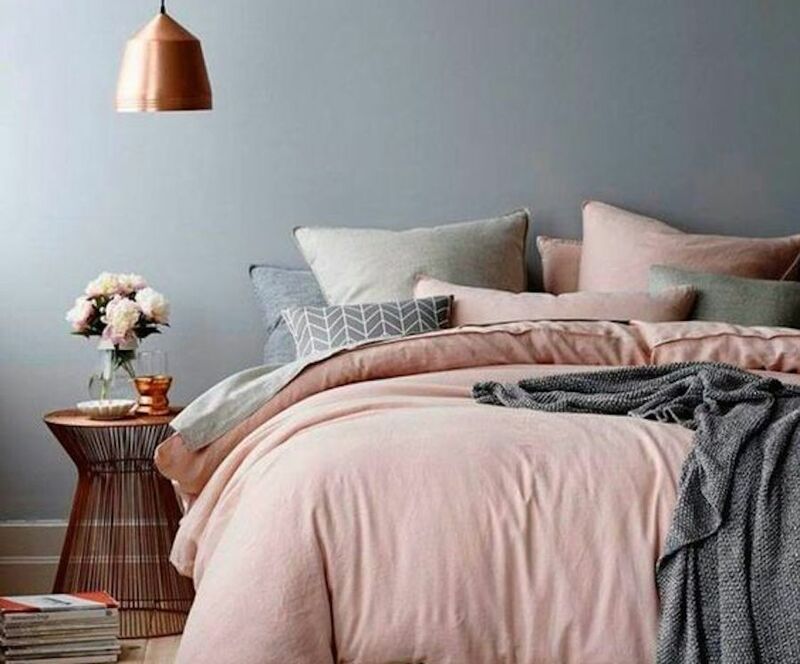 The blueness of your bedroom can be blended with shades of grapeade, buttercup, peach echo, cocoon and snorkel blue. Rose and blue work perfectly with marble, wool, steel, linen and wood. Consider these materials when buying floorings and furniture. 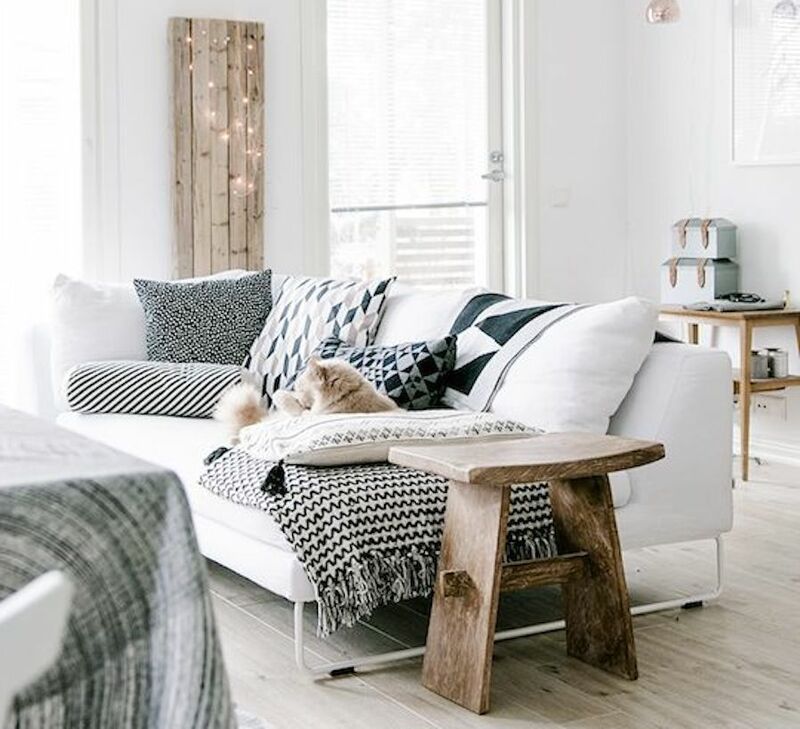 These are also staples in the Scandinavian and minimalist interior design themes. Use marble tiles in your bathroom and wood for the rest of the house. If a wool couch is too costly, you may opt for wool or linen pillowcases instead. 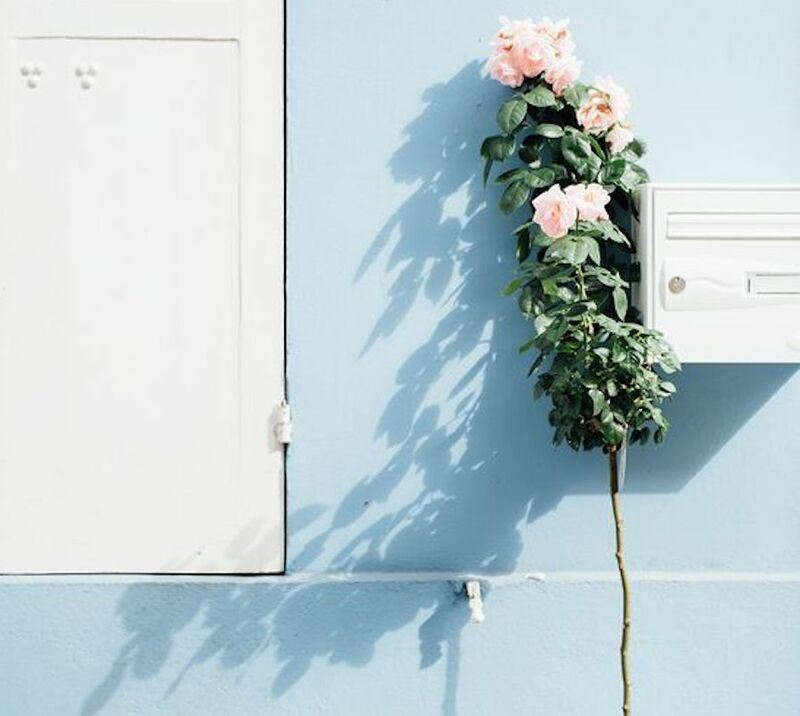 Whether you’re a cerebral minimalist or a vivacious shabby chic homeowner, this is your chance to flex your creative muscles and incorporate the colors of the year into your interior design. There’s no reason to break the bank. A little bit of imagination is all you need. Maximize condo living in the Philippines by turning your space into your personal kingdom—a place where you can create ideas, plan and be yourself.